Recent review: Loved the music and voices. Performed beautifully and professional. Loved it and will hire again. Cielito Lindo Te Vas Angel Mio Felicidades Any Vincent's Fernandez or Ramon Ayala. It's a home fiesta to celebrate life of our grandsons (3 months-2.5 years) after losing both our moms, that we loved and cared for so dearly. Arriving on the music scene in the late 19th century, Mariachi Bands brought an upbeat yet traditional sound to Mexican culture. With a blend of guitars, violins, trumpets, the guitarron, and the vihuela, Mariachi music can truly liven up a party! The upbeat authentic Mexican folk music is the perfect accompaniment for wedding receptions, Cinco de Mayo parties, and so much more. 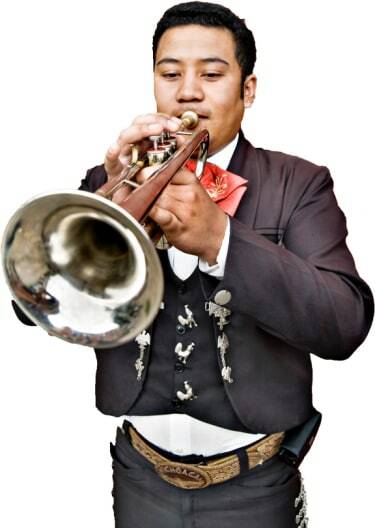 Search for Mariachi Bands in Carson City, Nevada above. Please note that these Mariachi Bands may also travel to Washoe Valley, Minden, Silver City, Genoa, Incline Village, Incline Village, Glenbrook, Dayton, Crystal Bay, Zephyr Cove, Kings Beach, Stateline, Gardnerville, Tahoe Vista, Virginia City, Carnelian Bay, South Lake Tahoe, and Smith.